The Vancouver Island Pagan Pride Day is an annual event held at various locations throughout Vancouver Island. Previous events have been held at Kin Park on the beautiful Departure Bay Beach in Nanaimo, the Comox Valley Exhibition Grounds, Lewis Park, Courtenay and most recently at the Sooke Region Museum. This year, we move to the enchanting garden city of Victoria! 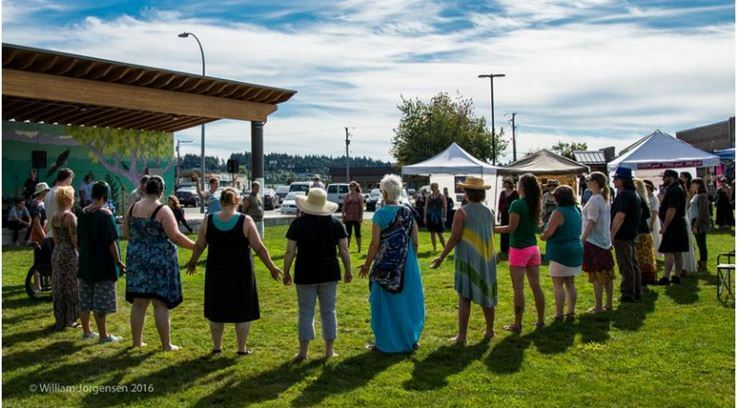 Pagan Pride Day has served to connect and educate people since the first event was held in 2005. This has facilitated the tremendous growth of our community. What was once a small gathering of like-minded people has blossomed into an annual festival offering a variety of entertainment, education, demonstrations, and vendors. It has become a place to gather as a community and celebrate, and also to give back, through donations and support of the local food banks and other organizations. This event has allowed many to access information about Paganism as a religion and as a way of life in a safe environment. So join us to celebrate and share the harvest!